In the present study efforts have been made to prepare functional prototypes with improved thermal, mechanical and morphological properties from polymeric waste for sustainability. The primary recycled acrylonitrile butadiene styrene (ABS) and polyamide 6 (PA6) has been selected as matrix material with bio-degradable and bio-compatible banana fibers (BF) as reinforcement. The blend (in form of feed stock filament wire) of ABS/PA6 and BF was prepared in house by conventional twin screw extrusion (TSE) process. Finally feed stock filament of ABS/PA6 reinforced with BF was put to run on open source fused deposition modelling based three dimensional printer (without any change in hardware/software of the system) for printing of functional prototypes with improved thermal/mechanical/morphological properties. The results are supported by photomicrographs, thermographs and mechanical testing. 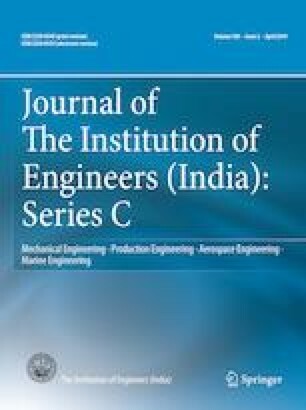 The authors are thankful to Creatius3D and Manufacturing Research Lab, GNDEC, Ludhiana for providing technical/financial assistance to carry out the research work.